Ensaaf has spent the last thirteen years fighting to end impunity and achieve justice for the survivors and victims of the Decade of Disappearances in Punjab. After several years documenting cases in over 12,000 villages in Punjab, we are now preparing for the crucial next stage: creating a Virtual Site of Conscience (VSC). Among other experiences, the VSC will include immersive sensory environments, interactive data visualizations, documentary films and video testimonials, a portrait gallery, and a human rights archive. 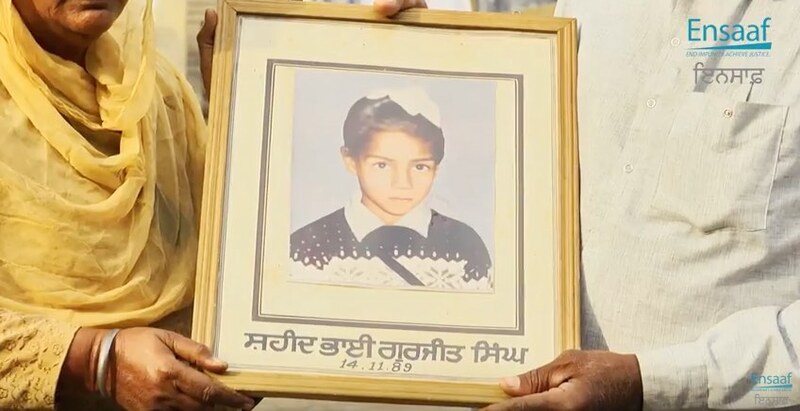 Today, we ask you to support and amplify the voice of Charanjit Kaur. Help Ensaaf raise $10K in 10 Days towards building the Video Testimony Library for the Virtual Site of Conscience. Ensaaf is creating a searchable, tagged video archive of 200 oral histories. In order to finalize the next 10 videos, we need to raise $20,000. Generous donors, like the Dhillon Law Group, have stepped forward to match your donations dollar-for-dollar, up to $10,000, for the next 10 days. Ensure that Charanjit Kaur’s voice reaches the international community. Thank you for your generous support and commitment to truth and justice! Please share Charanjit Kaur’s video and donate today.